BLOX Fuel Injectors - Dezod Motorsports Inc - Home of the automotive performance enthusiast since 2002. BLOX Racing fuel injectors have been designed and extensively tested to offer optimum performance and reliability. 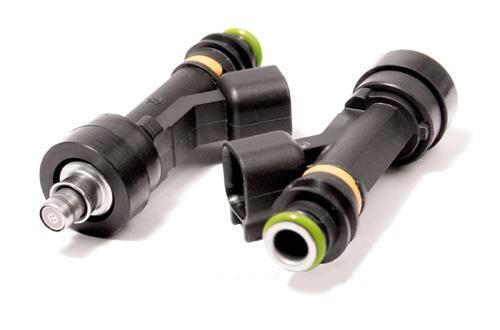 BLOX Racing fuel injectors begin with brand new, Bosch™ fuel injector cores. Using the latest in injector technologies, each high impedance injector is match tested so each set guarantees an accurate flow each time. High impedance, also referred to as saturated, injectors require less current to operate thus reducing the amount of heat generated during each cycle allowing the injectors to stay cooler. All in all, BLOX Racing fuel injectors provide excellent throttle response and even better mid range tuning capabilities. BLOX Racing fuel injectors come with all the necessary O-rings and hardware for a perfect and secure fit each time.